This book provides a comprehensive examination of the contemporary English-language theatre field in Singapore. It describes Singapore theatre as a politically dynamic field that is often a site for struggle and resistance against state orthodoxy, and how the cultural policies of the ruling People’s Action Party (PAP) have shaped Singapore theatre. The book traces such cultural policies and their impact from the early 1960s, and shows how the PAP used theatre – and arts and culture more widely – as a key part of its nation building programme. 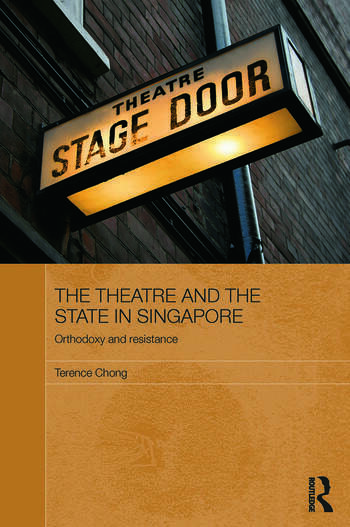 Terence Chong argues that this diverse theatre community not only comes into regular conflict with the state, but often collaborates with it - depending on the rewards at stake, not to mention the assortment of intra-communal conflicts as different practitioners and groups vie for the same resources. It goes on to explore how new forms of theatre, especially English-language avant garde theatre, represented resistance to such government cultural control; how the government often exerts its power ‘behind-the-scenes’ to preserve its moral legitimacy; and conversely how middle class theatre practitioners’ resistance to state power is strongly influenced by class and cultural capital. Based on extensive original research including interviews with theatre directors and other theatre professionals, the book provides a wealth of information on theatre in Singapore overall, and not just on theatre-state relations. Terence Chong is a Fellow at the Institute of Southeast Asian Studies, Singapore. He is the editor of Globalisation and its Counter-forces in Southeast Asia and author of Modernisation Trends in Southeast Asia.